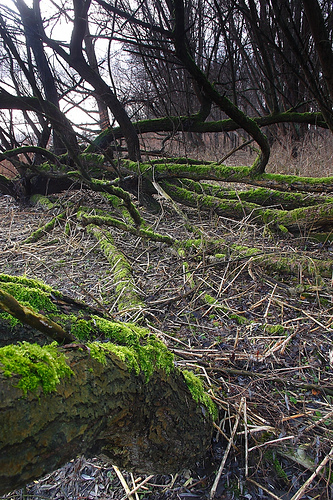 Moss on willow trees in the Biesbosch. 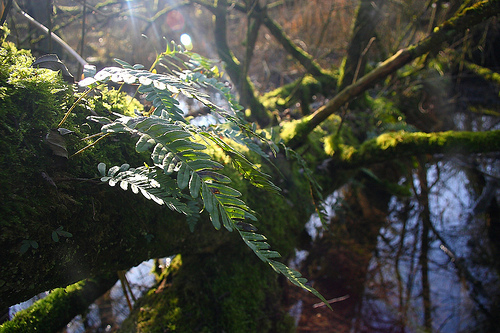 Fern growing on a tree with moss. 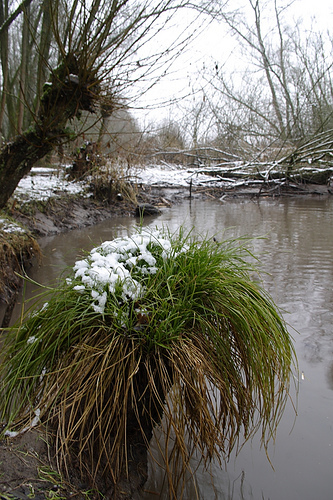 Grass with snow in the Biesbosch. 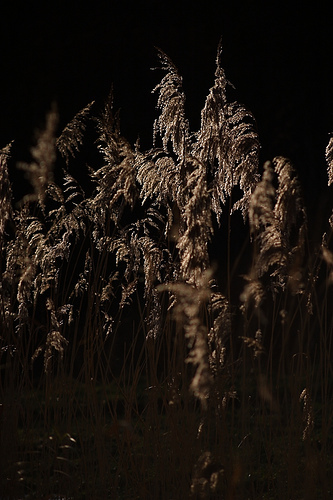 Blooming reed shot with backlight.